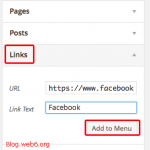 Basically, this will enable your site’s visitors to click your YouTube Subscribe link directly from your website, without being on their YouTube account. Handy huh. I find embedding this button manually is a lot faster than using a plugin. 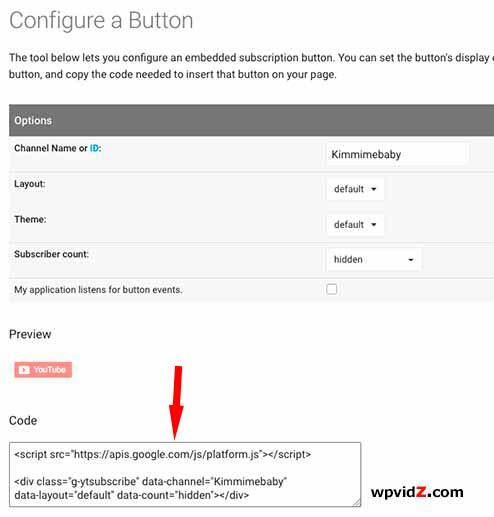 You don’t have to look for your Channel ID or using API key, just look at your Channel Name, copy and pasting the code and you are done. 1. Visit Google Developer web page. 2. 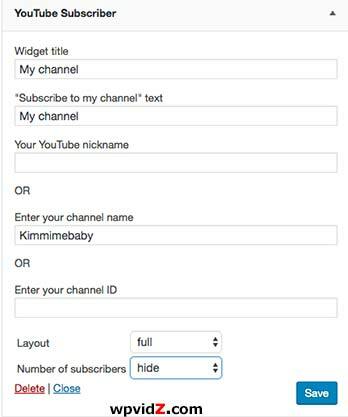 Type in your YouTube info for the “Channel Name or ID:” option. In the video above, I used my Channel Name, and it worked, fast, easy and works. 3. Layout. Choose “Full” or “Default”. Full = It will display your Channel profile account picture, Channel Name, and “Subscribe” button. 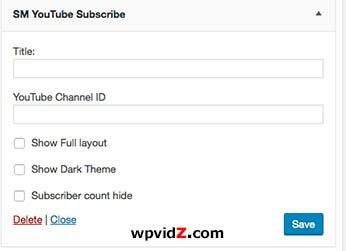 It can also show your YouTube Subscribe count you have if you enable it later in the step (5) below. Default = It will only show the red subscribe button. 5. Subscriber count. It is a subscriber counter, that will show how many people have subscribed to your YT channel. 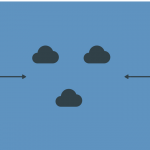 Default (shown) or Hidden. 6. My application listens for button events. I left it as is, unchecked. Right below the configuration option, you will be able to preview your button appearance. Also when you change the settings, the changes on the preview will be updated “live”. If you’re happy with the button’s look, then you can directly copy the code right below the preview section. 2. Navigate to Appearance → Widgets. (Alternatively, you can use your Customizer). 3. Find “Text” widget. Copy and paste the code in there, and click “Save”. 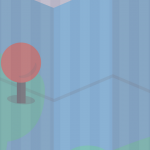 Reposition the widget to any positions you prefer. There you go, you have now a YouTube Subscribe button on your website. The method above is to add the code manually. Of course, you can use plugins to do this. I have tested a few of them before writing this post. It enables you to add some text on your widget. Also it has many options where you can enter your Channel Name, ID, or NickName. 2. YouTube Subscribe Button by Arun/Skipser. Note: The plugin has not been updated for 2 years or more. The reason why I list it in here is because it is the easiest and it worked. I have tested with WordPress 4.7. Beware with these two YouTube Subscribe button plugins, there are “SM” and “TM”. 1. SM YouTube Subscribe by Mahabubur Rahman. It requires you your Channel ID. So it has no option where you can enter your Channel Name. I disabled other plugins, and re-tried again, but had no luck. 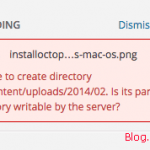 Note: I have blogs in BlueHost and HostGator, but weirdly, they work differently after I tried to install it. I disabled other plugins to try, but no luck. 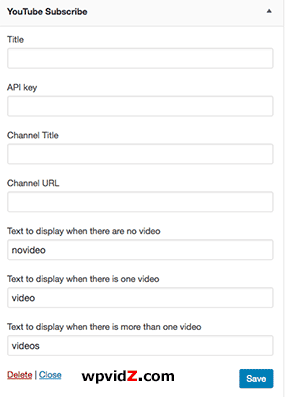 In HostGator, it works, but it prompts you to get YouTube API key, which is not really necessary if you can add it manually or using the two plugins above. If your website shows the error above, log in to your cPanel or use your FTP client, and delete the plugin folder inside wp-content folder, it is called, “tm-youtube-subscribe”. Just delete that, and refresh your error page. We are done, and hopefully you have successfully added this to your website, and let me know which method you used.